Hi, I’m Alan. I’m new to the library staff and after starting work in the Library late last year, I have been eagerly sampling our PC games collection. Who would have thought a public library would have such a good range of enjoyable games on offer? 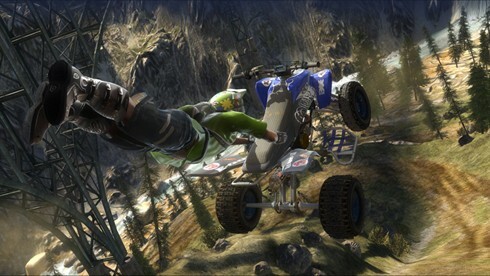 So far I have borrowed; Blazing Angels 2, The Sims 3, Lego Batman and Pure; an over-the-top ATV racer. I have also seen the following titles floating about: Lego Star Wars II, Star Wars Battlefront, Sega Rally, IL-2 Sturmovik, and various Need for Speed titles. As we all know, libraries are great for books, and they are becoming increasingly good for DVDs. Wouldn’t it be great if more libraries had extensive video game collections as well? The games I mentioned are just titles that caught my eye, there are many more on offer! This entry was posted in new resources, staff and tagged gaming, PC games, video games by alancatman. Bookmark the permalink.